Have a look at this beautiful old 19th Century custom fireplace with molded jambs and over mantel. From our sources in Europe, classic designs of Epic Antiquity, and surrounds created to architectural specifications. Limestone, marble and granite creations which represent periods including Gothic, Renaissance, and forward. These works in stone reflect the artistry of an era to newly created pieces for your own personal space. Resourcing, shipping and installation available. 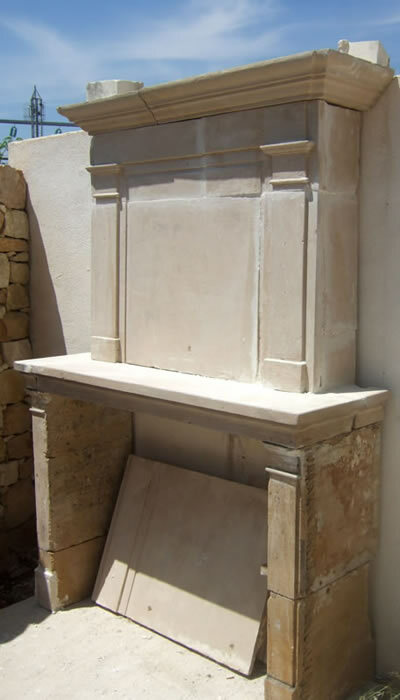 If you’re looking for a unique fireplace, Malibu Stone should be at the top of your lists!